An intimate, unhurried and complete coastal adventure over 2 full days. Departing Kununurra, head south over Lake Kununurra and the upper Ord River onto Lake Argyle, flying over some of the vast cattle stations and the Osmond Ranges. 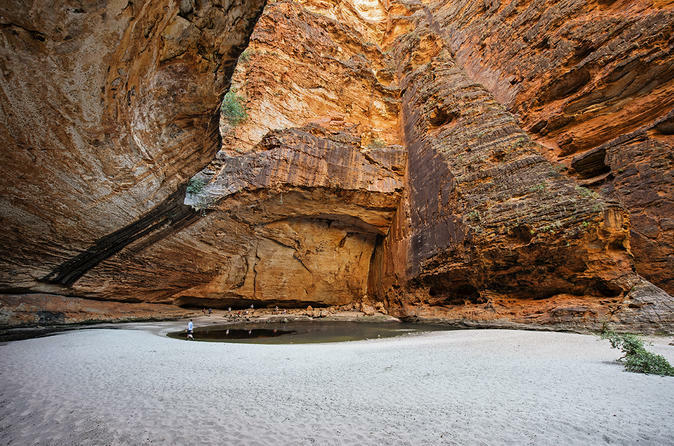 Arrive at the Purnululu National Park and the Bungle Bungle Ranges where you will land and join a half day coach and walking tour to the magnificent Cathedral Gorge. Enjoy a picnic lunch and informative commentary from the resident guide. 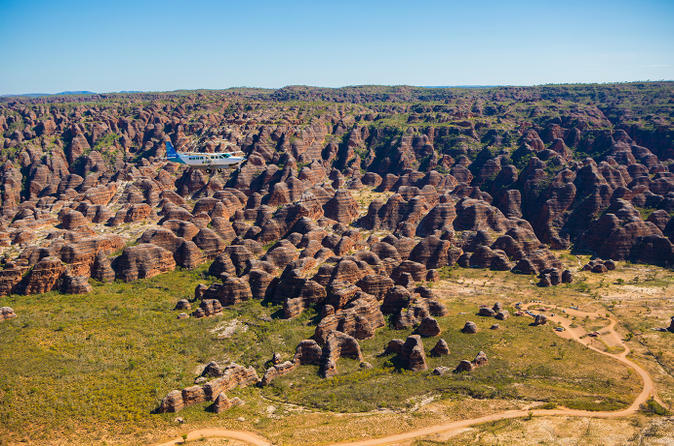 The ultimate Bungle Bungles experience with an exhilarating scenic flight, private ground tour, accommodation and gourmet meals at the Bungle Bungle Wilderness Lodge. Experience Purnululu by air and then by ground to appreciate the vast, rugged beauty of this World Heritage Listed National Park. Your scenic flight will take you over Lake Argyle and the Bungle Bungle Range where you will land. Your flight will be met by a guide who will take you by 4WD into the Bungles. You will then embark on a moderate 3km walk which takes in Piccaninny Creek, the beehive shaped sandstone domes and Cathedral Gorge. You are provided with a small backpack to carry your tasty picnic lunch in the shade of the gorge. You can add a 30 minute helicopter ride to this tour. 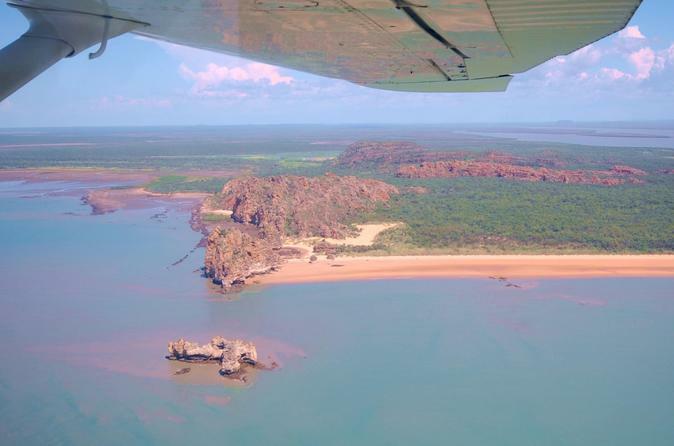 Your flight home flies over the fascinating Argyle Diamond Mine where rare pink diamonds are mined. Your tour includes both a scenic air tour in a 14-seater Cessna Caravan aircraft plus a ground tour of the Arygle Diamond Mine where famous pink diamonds are mined. 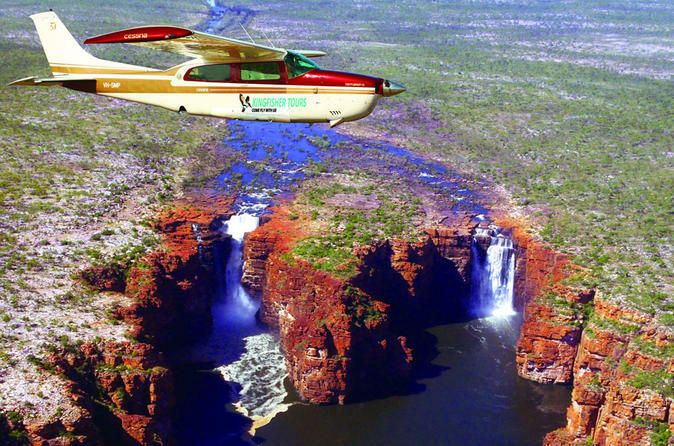 Your scenic flight passes over the stunning Lake Argyle and the famous Bungle Bungle Range in the World Heritage listed Purnululu National Park. After landing at the mine you will be taken on a fascinating ground tour through the processing plant, overlook the open cut pit. Enjoy a buffet lunch and experience the conditions of a worker first hand. Join a small group as you take a scenic air tour in a 14 seater air conditioned Cessna aircraft. 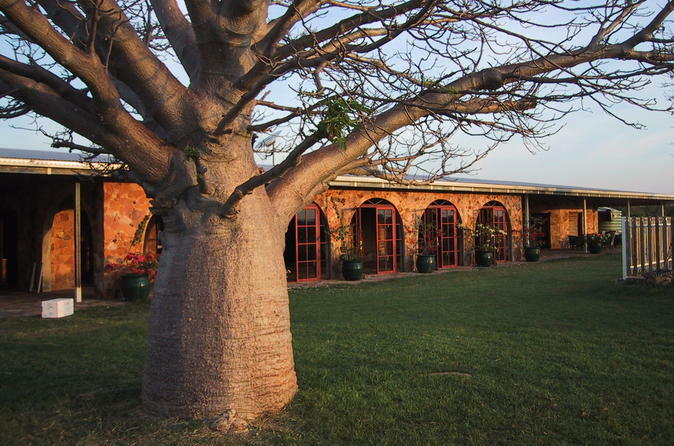 The majestic waterfalls, cattle stations, wilderness reserves and incredible coastal views will keep you enthralled all day. 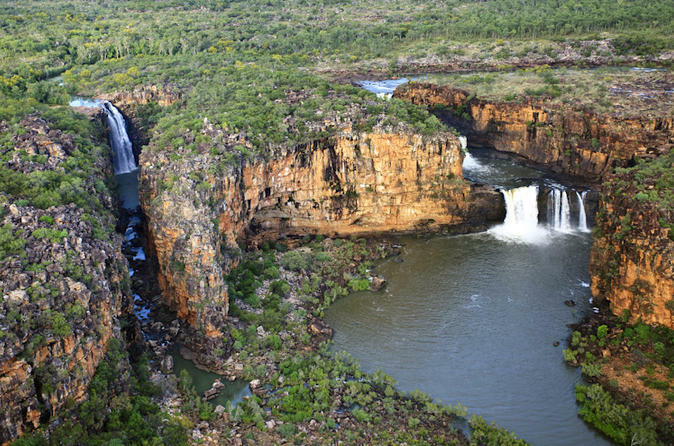 Highlights of this full day air safari include flying over King George Falls, the spectacular Mitchell Falls, Wyndham Mud Flats, the Berkeley River Gorge, Kalumburu, the stunning Kimberley coastline, lunch at Drysdale River Station and return over El Questro and the Cockburn Range. 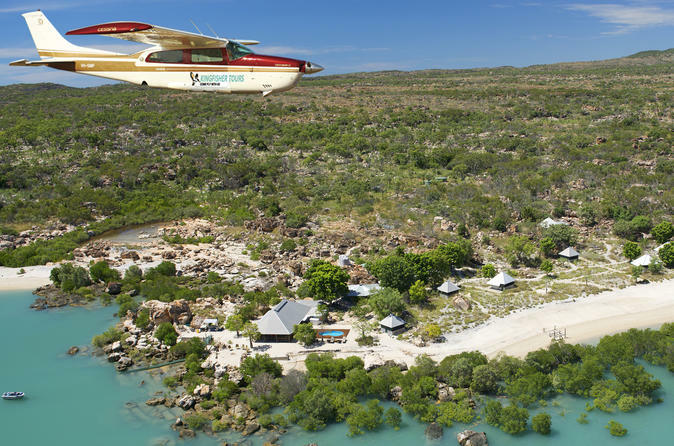 This ultimate Kimberley experience, combines exhilarating scenic flights, private ground tours, pristine wilderness and archaeological heritage, coastal cruising and fishing, accommodation and gourmet meals - an extraordinary once in a lifetime opportunity. 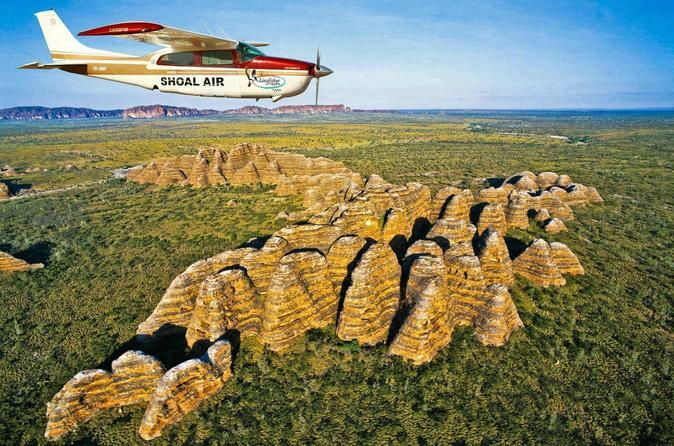 The ultimate Bungle Bungles experience with an exhilarating scenic flight, private ground tour, accommodation and gourmet meals at the Bungle Bungle Wilderness Lodge. Includes visit to ALL gorges. In the culture of the Kimberley people, the Wandjina is a respected and irritable spirit, who brings water and life to a parched land. 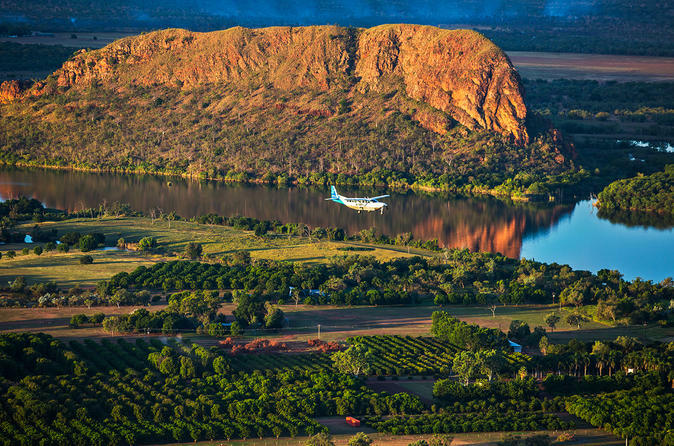 From your fixed-wing aircraft, explore the heart of the Wandjina country and marvel at the landscapes, river systems and coast that these spirits have nurtured. Embark on the ultimate and exclusive coastal get away to Cape Domett. Experience a breath-taking touchdown on a 3-kilometer beach. you can soak up the beauty of the coast over a relaxing picnic morning tea. 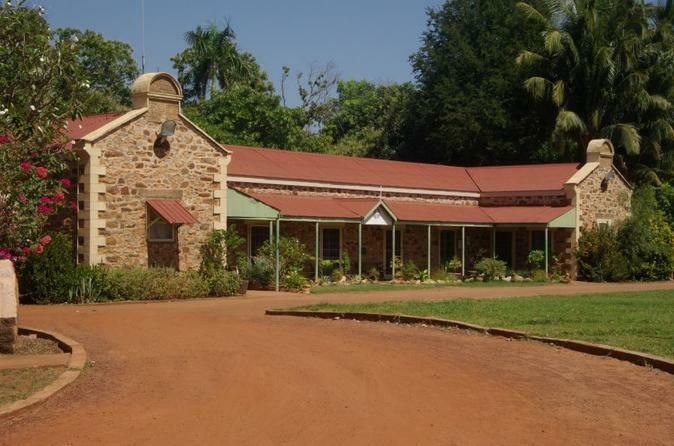 Bullo River Station in the Northern Territory is the famous cattle station and homestead developed by the Henderson family, and the subject of Sara Henderson’s inspiring autobiography “From Strength to Strength”. 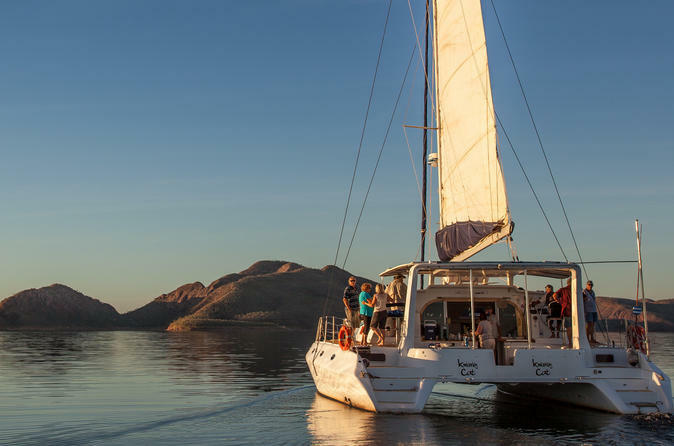 Sail the eastern strait of Lake Argyle aboard a luxury 50-foot catamaran. Top off the day with a sunset swim in the largest man-made lake in the Southern Hemisphere. Includes lunch, tea and coffee.